Today, after almost two months of waiting, supporters and the press were finally and formally introduced to Palmeiras’ latest player: multipurpose midfielder Wesley. The 24-year-old has signed a five-year contract with Palmeiras and expressed his gratitude and excitement for having arrived at a club with so much history. “I was doing fine at Werder Bremen and had received proposals to stay, but I wanted back to Brazil. When the offer from Palmeiras arrived I didn’t think twice and did my part to make it happen”, Wesley explained during the press conference, praising Scolari and his new team mates. In the end, the MOP crowdfunding initiative was discarded due to the relative small amount – less than US$450.000 – collected during the campaign month. Contributing supporters will have their money back as previously informed; MOP contributions would only be used in case the FULL amount – some US$11.5 million – were collected. Instead, Wesley was signed with the help of an investor who bought one third of the economic rights of the player, corresponding to the first annual instalment out of three going to Werder Bremen. The investor is a recently formed group named “TokSai” and its representative Beto Moreira today indicated that more opportunities for business between Palmeiras and the investment group could materialise in the near future. Wesley’s debut is bound for Wednesday’s game against Paulista. Had Palmeiras director not insisted in first starting then maintaining a MOP campaign that obviously would fail, Wesley could have been available several weeks ago. Exactly how much his contribution would have meant last Sunday against Corinthians we’ll never know, although we’ll have a good idea by observing him during the next few games. 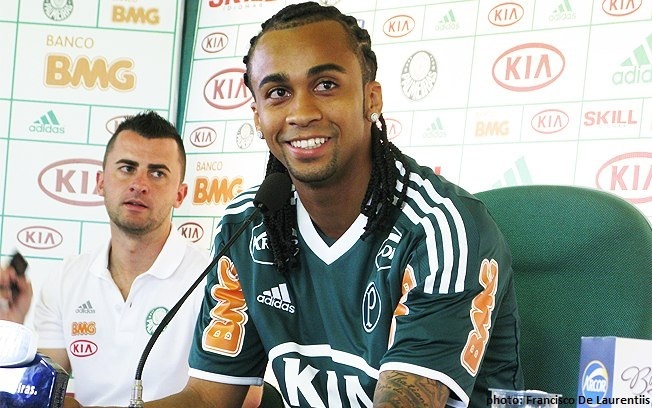 Welcome to Palmeiras and the best of luck, Wesley! This week will not only bring Wesley but also, and no less important, Henrique. The former Bayer Leverkusen and Racing Santander player belongs to Barcelona and has been on loan to Palmeiras, a loan due to expire in June. Our directors for once anticipated their move and the deal is a wrap: this week Henrique signs a five-year contract with the club. Great news, as Henrique is a quality player and has great prestige with supporters. In case you paid attention you would have noticed that Palmeiras entered the pitch last Sunday with a modification to the jersey: above the chest, close to the shoulders, the Argentine food producer Arcor has placed its logo until the end of the São Paulo Championship for an undisclosed figure. 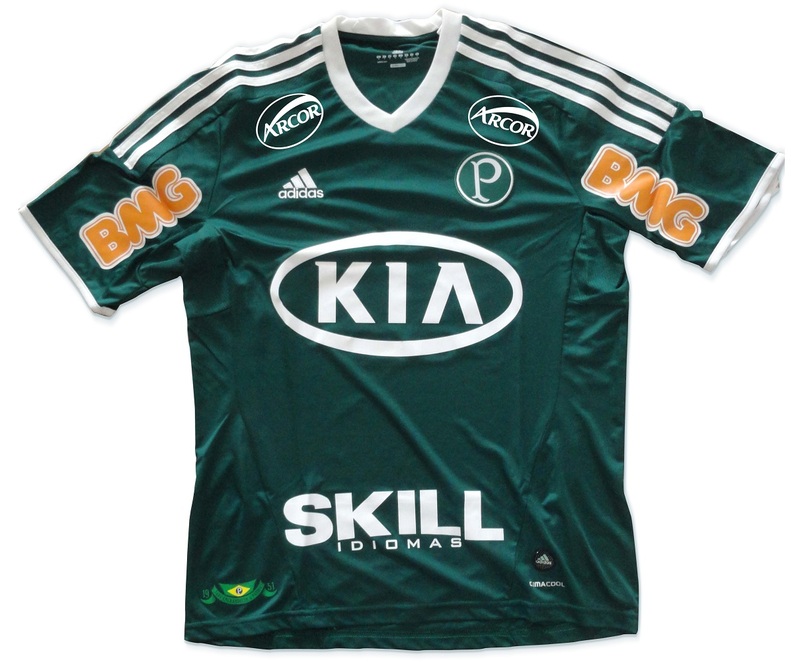 As you can see, Arcor and/or Palmeiras showed the good taste of adapting the original blue and yellow logo into an harmonising green and white: wouldn’t it be lovely if every sponsor could show such good judgment, BMG? Summing it up: three out of three right for president Tirone and his men. I don’t think we’ve had such a good week in years. And it’s only Tuesday… (knock knock). 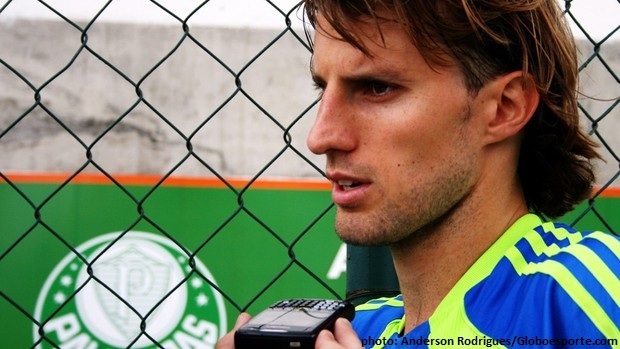 What Palmeiras need for the Brazilian Championship and the final stages of the Brazil Cup is one more quality striker. If remaining players stay healthy and productive – and with a successful reintegration of Luan and Thiago Heleno – Palmeiras have a shot at titles this year.